Having a great business idea is just part of equation for success. Determining your target customer also makes a difference. Unless you know who your ideal customer is, you can’t begin to focus your product selection, your services or your marketing strategy. Here are some tips that will help you focus your business, determine your ideal customer and how to find them. What problem does your business solve for your customers? What does your business do? Whatever you sell, whether a product or service, it should be a solution to some sort of problem. What is that problem? Why is my company/product/service the best? Unless you are selling something totally unique, you’re going to have some competition. So what will set you apart from the rest? What do you do that no one else in your industry does, or what do you do better? Who will buy my product or service? Be specific here. What is their gender, age, occupation, family size, education level, income, financial situation? How does this person spend their free time? What are their interests? Also, where is your customer (or main customer base) located? Where do they live and work? 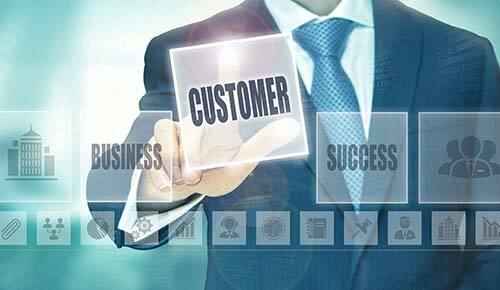 How does my business help my ideal customer? You determined what problem your product aims to solve, now think what specific benefits your customers get from your business. What do you have to offer? What is my customer’s buying personality? Take the time to think about your product or service from your customer’s point of view. What will convince him or her to buy? What steps does this person take when making the decision to buy? You know your business and you know who your customer is, now you need you figure out where to find these customers. Here are some places to start your search. Magazines, blogs, forums, etc. Start by searching for communities. What better place to start than the mother of all search engines? Plug in some keywords you think your customer would use when searching for a product or service like yours. You may find groups or discussions on these keywords – participate and comment to bring attention to your business. Facebook. So many consumers and businesses spend time on Facebook that this marketing platform can’t be ignored. Search for similar businesses or groups on Facebook to find where your target customers are hanging out. Like with forums and blogs, start participating and commenting. Twitter. The beauty of Twitter is that hashtags are so abundant, that it’s really easy to find what you are looking for. Look for keywords, but more importantly, look for relevant conversations. Start contributing, offer some of your expert advice and make connections. Customer profiling is an important business step, but it’s one that many businesses overlook. Unfortunately, you can have the best business idea, but without the right customer base, it could all be for nothing. Use these tips to help you find out more about your business and about your customers to really help your business succeed.